For a community or society to work, it needs to have a level of structure that applies to everyone and is understood by everyone. Laws create that structure and regulate the way in which people, organisations and governments behave. A law is a rule that comes from a legitimate authority and applies to everyone. Laws are created to make sure that everyone understands what is expected of them as a member of society (their obligations) and what they can expect of others, including government (their rights). We have laws so that society can work effectively, to make sure that people or organisations are not able to use power, money or strength to take advantage of others or to make things better for themselves. We have laws to make sure that everyone understands their rights and obligations, and the rights and obligations of others. What is a 'legal system'? All countries have a legal system of some sort. The ‘legal system’ is a broad term that describes the laws we have, the process for making those laws, and the processes for making sure the laws are followed. Our legal system reflects how we, as Australians, behave and how we as a country expect people, organisations and governments to behave towards each other. Where does the Australian legal system come from? The Australian legal system developed from the legal system of Britain, which was brought to Australia as part of the process of Britain setting up a colony in Australia, beginning in the 1770s. Between 1855 and 1890 the British Parliament granted a limited right to set up a local system of government to each of the British colonies within Australia, usually referred to as granting ‘responsible government’. As each of the colonies was granted this right it was able to develop its own laws and legal systems to deal with its particular situation. So, the law and legal system in each of the colonies began to develop separately. During the late 19th century, there was a move towards creating a central government for the whole of the country. Representatives of the six colonies (New South Wales, Queensland, South Australia, Tasmania, Victoria and Western Australia) met at a series of conventions held in the 1890s, to work on the wording of a constitution. A referendum was held in each colony to approve the draft constitution. The Australian Constitution was passed as an Act of the British Parliament, and took effect on 1 January 1901. The creation of the Australian Constitution in 1901 was the beginning of an independent Australian legal system that forms part of the system of government of Australia. The Commonwealth of Australia was formed by the federation of the independent colonies (which then became states). This is why we refer to the establishment of the Commonwealth as ‘federation’ and our system of government in Australia as a ‘federal’ system. Under a federal system of government, power is divided between the federal government and the component state/territory governments. The way in which the power is divided is set out in the Commonwealth of Australia Constitution Act 1900 (UK) (the Constitution). Section 51 of the Constitution lists what powers the federal government will have. State and territory governments have power over anything else within their borders, that is, anything that isn’t mentioned in section 51. The Constitution is structured this way because the states came together to create the Commonwealth and they agreed amongst themselves what powers the Commonwealth they were creating could exercise and which powers they would keep. This means that since Federation, all Australians have been subject to the laws of two legal systems: federal laws, and the laws of the state or territory in which they live. Hot Tip –What is a constitution? A constitution is a set of rules that sets out how an organisation or country is to be run (governed), how the organisation or country decides who will have power, how that power can be exercised. The constitution of a country sets up the system of government for that country. The full title of Australia’s Constitution is the Commonwealth of Australia Constitution Act 1900.
courts interpreting the law, and deciding cases on the basis of how similar cases have been decided in the past and applying those decisions to the circumstances of the case they are currently deciding, known as ‘common law’. 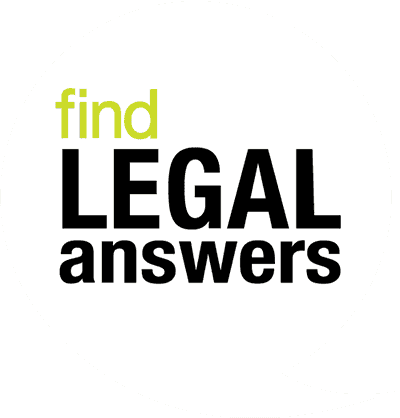 Who is in the australian legal system? Commonwealth government – laws are passed by the Commonwealth Parliament, elected by all Australian citizens who are enrolled to vote. State/territory government – laws are passed by the state or territory parliament, elected by those Australian citizens who live in that state or territory who are enrolled to vote. Local government – local government by-laws are passed by the local councillors elected by people who live or own businesses within the local government area. Each has a slightly separate role to play in the legal system and these are described further on in this Hot Topics. Australia’s system of government is based on the rule of law. This means that everyone has to obey the law; that no-one, no matter how important or powerful, is above the law. This means that the law applies not only to citizens but also to organisations and to people in government including the Prime Minister, the heads of government departments, and members of the armed forces. So, the same law that makes it a criminal offence to steal someone’s property applies to everyone. Another aspect of the rule of law is that no-one is allowed to exercise powers except those powers given to them by law. 1. There are some situations where state and territory governments agree to give specific powers back to the Commonwealth, such as the referral of certain powers by Queensland, New South Wales, Victoria and South Australia to the Commonwealth to enable the passing of the Water Amendment Act 2008, which amended the Water Act 2007, creating a single body responsible for overseeing water resource planning in the Murray-Darling Basin.